MicroRax is awesome but there hasn't been an easy way to make a cubicle corner... until now. 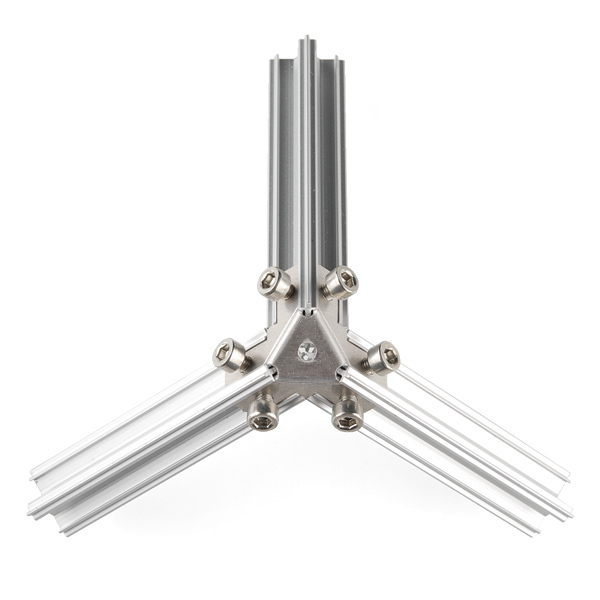 Do away with the convoluted configurations of right-angle brackets that it used to take to make three beams join up and say hello to the Tri-corner. 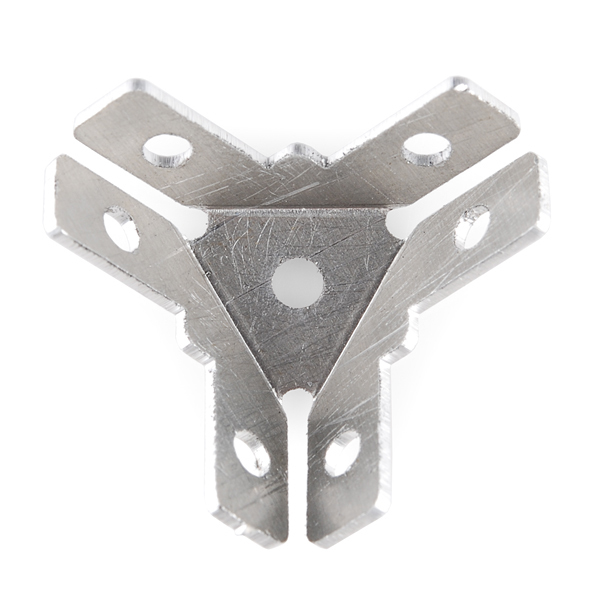 The Tri-corner joint reduces the amount of fasteners that you'll need to use and makes setting up cubicle structures much faster. 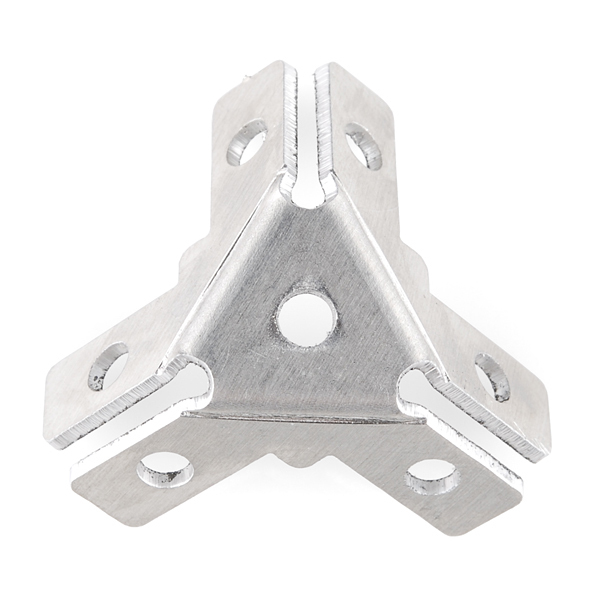 It's made from 5052 aluminum, so it's strong enough for small, quick builds but you may want to replace them with regular right-angle joints later on if your project needs to support more weight. The screws that are used with the Tri-corners are M3 x 3mm. A photo of this in use, with the profiles attached, would be most useful. 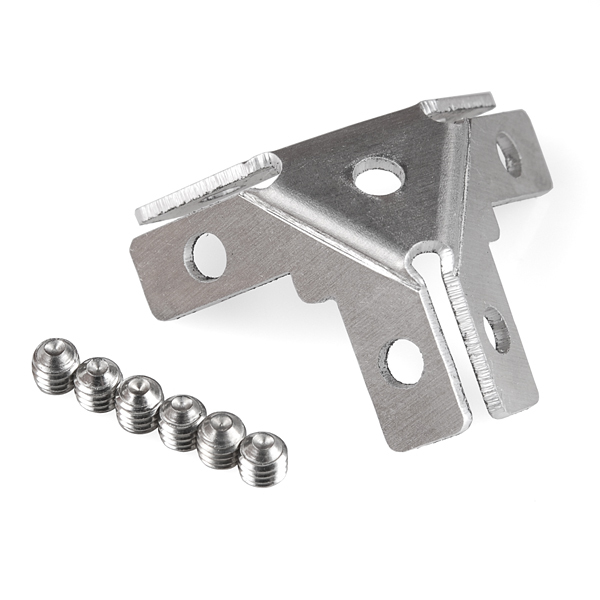 MicroRAX has a photo on their website showing the part with profiles, except that the set screws aren't installed.